Many people thinks that alcohol is a solution for getting out of the problems. The scientists had demonstrated that drinking has the opposite effect and makes you remember all your problems. The legend that appeared above getting rid of all our negative thought by drinking is more about the environment and not on the alcohol precisely. Scientists from The University of Texas said the pleasure is given by facing the problem and the way that we treat them when we are drinking. This is the way how the dopamine is relived, because of the synapses that are created when we are thinking of our problems. But the habit of getting drunk in order to forget about stress might turn into a serious problem: alcoholism. The beginning of this serious problem is the habit of drinking while you are facing a difficult period. There are people who think that alcohol makes them powerful and very much capable dealing with the every day stress. That is a fake thought because this is the beginning of a very serious problem. Here it starts the addiction and much later is very hard to control it. In a long term, the habit of drinking will turn into an addiction and, if at the beginning only a few problems seems to bother someone’s life, in the end, negative thoughts will come over and over again. So, if you think that drinking will make you forget about loosing your job, a friend or another bad think from your life, you have to think twice before it turns into a habit and in the end in a destructive addiction. In many cases this is the cause of trespassing. Studies had shown that the treatment of this huge problem reduces criminal act up to 80%. Lots of people who got through this addiction can be employed and the medical costs of the alcohol abuses are decreasing. Only in U.S, 50.000 people get sick every year from alcohol abuse. 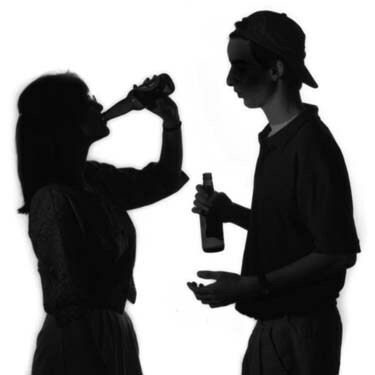 This problem is growing among teenage because they see in drinking a way to make friends and have fun. In a very short term the situation is out of hand and without realize they become the slave of this apparent inoffensive habit. The scientists had shown that drinking is the most common reason for death at younger people and this is a great alarm sign for the parents who should spend more quality time with their kids and observe closely their relationships with their friends.